Back Office Pro (BOP), a leading outsourcing destination in India offers 360-degree panorama editing service to help photo studios meeting the rapidly growing demand. With the use of cutting-edge image editing technology, BOP’s 360-degree panoramic editing process enables businesses to illustrate their products and services in a completely immersive way. As an outsourcing partner, BOP’s skilled team of panoramic photo editors helps clients to tap into the lucrative trend of virtual tours and panoramic photography that has been making a big impact in the real estate, tourism, entertainment, and documentary industries. Take a look at our sample 360-degree panoramic images by clicking the link below or get in touch with us via our website contact form. Our team of panorama editing specialists boasts experience in projects of any size and complexity. With the aim of providing efficient and convenient panorama editing outsourcing solutions, Back Office Pro focuses on quality output and speedy delivery. Expertise in digital image editing, color composition, studio management, etc. Well versed with software like Photoshop, Microsoft ICE, Lightroom, Autostitch, Gigapan, Autopano, iFoto, Easypano, and PTGUI, etc. Experienced in producing high-resolution 180- and 360-degree panoramic images with simulated reality. Strong working experience in delivering any variant of panoramic imagery, including inner- and outer-cylinder, inner- and outer-sphere, fisheye, and cubic panoramas to match client’s needs. Experienced in ICC profiles, white balance, raw conversion, and color correction before stitching and automatic batch-processing. HDR editing capabilities including panorama creation, image correction, and enhancement. Skilled to develop personalized panoramas by stitching vertically and horizontally, overlapping, and ghosting images. Proficient in image transformation techniques such as rotating, cropping, vertical and horizontal adjustment, alignment, wrapping, and positioning. Experienced in maintaining the consistency between the images before final editing by appropriate smoothing and cleaning. Professional knowledge to handle custom requests concerning the size, color profile, image, sharpness, resolution, and other specifications. Years of experience in working on several 360-degree panorama editing projects for real estate, virtual tours, store tours, product presentations, and more. Our stitching service makes use of raw images to process, overlap, and stitch various images into high-resolution panoramas. Strategic blurring detail directs the focus of the image, highlighting features, reducing visual distractions, and increasing depth. We create flawless panoramas by removing unwanted elements and shadows during pre- or post-editing. Aerial panorama creation for 180- or 360-degree renderings to offer panning, zooming, and virtual exploration by users. Enhancement of image quality to highlight the most attractive aspect of images. From simple cropping to high-end masking. Expand client reach: Image-conscious brands that opt to partner with BOP for their panoramic imaging needs can rapidly increase their client reach by using high-quality media while keeping their in-house teams focused on their core tasks. Intelligently Automated Processes: We have partially automated our delivery system to streamline the process, ensuring that each project is completed on time, cost-effectively. Our expertise and access to leading technologies give BOP the edge over our competitors, with a greater degree of accuracy and quality. Cutting Edge Technology: Outsourcing your panoramic image requirements to Back Office Pro boosts your company’s exposure to visualization and augmented reality systems. 360-degree panoramas have become the norm of property presentation, and BOP can help integrating these within all the main online/digital media. Expand your offering: We increase the quality of images before and after panorama editing. With BOP, firms lacking an in-house photographic editing team can evolve to offer not only higher-quality images but also 360-degree panoramic shots. 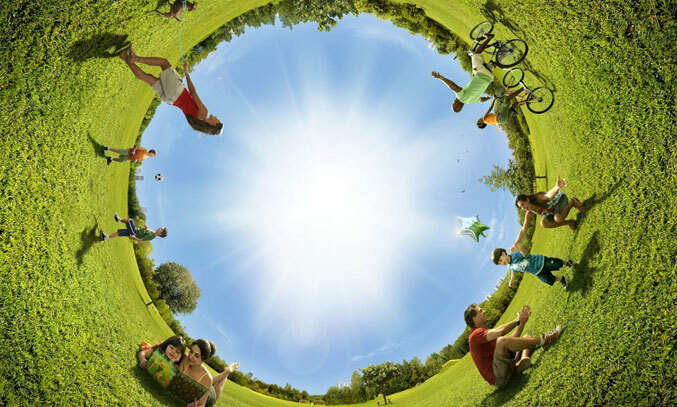 BOP has extensive experience in image editing and stitching seamless, immersive panoramic images. To discuss your outsourcing needs around 360-degree panorama editing services, fill out the contact form on our website, and our business development manager will contact you with all the details within one business day.